British Shorthair kittens for sale in Arkansas TICA registered British Shorthairs - Five generation pedigree on parents. Vet raised. These beau..
Himalayans CFA Reg.Absolutely Wonderful Beautiful with Huge Open eyes Sweet kittens .The Parents are PKD DNA Neg. FeLv/Fiv Neg. Wond..
Persians CFA Registered, PKD DNA .FeLv/Fiv negative,Healthy,Strong, Gorgeous,Wonderful personality, sweet face kittens. They are very fluf..
Ragdoll kittens for sale in Georgia TICA Registered Ragdoll kittens for sale! Our babies are very socialized and have wonderful personalities. All of..
Ragdoll kittens & cats for sale in Pennsylvania Offering TICA registered purebred Ragdolls since 1982. 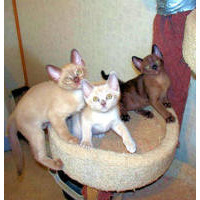 Most lines trace back to the ..
Persian kittens for sale in Arizona Persian kittens available in a variety of colors, We Have several litters available all through out the y..
BURMESE KITTENS FOR SALE Beautiful CFA registered kittens - Platinum, Champagne, Sable, Blue Lap-loving bundles of fur & purrs! Home raise.. BREED NAME You can have text with a choice of fonts, sizes, colors, and backgrounds. 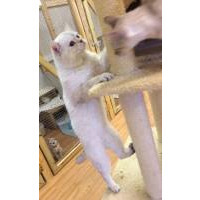 you can have a massive amount of text in your ad description ..
Siberian kittens and cats for sale in Texas- USDA licensed, Registered CFA Cattery of Excellence, TICA registered, SPCA inspected Siberian Cats ..
Manx kittens and cats for sale in Colorado Beckn cats occassionally has Beautiful Manx kittens and adults Raised in our home with Love and Respe..